• Schuetzen • Single Shot Rifles • Antique-Classic-Historic Vintage Firearms & Accessories. 12 Fully-Loaded Monthly Issues! Only $44.50. Subscription or Renewal. Click Here to Subscribe/Renew Now. • Antique-Classic-HIstoric-Vintage Firearms & Accessories. • Product & Service Suppliers • Interactive Blogging. And More. 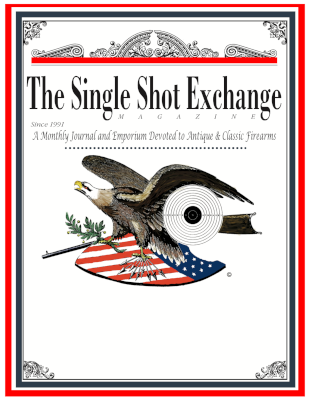 Whether you are a novice or experienced shooter, you can count on a “take away” each month—enjoyable reading and useful information about the sport we love. Just as I write from the perspective of my background, so do those who contribute articles to our magazine, presenting their expertise and experience in areas of interest and specialization that I know will appeal to you.